I'll admit it. 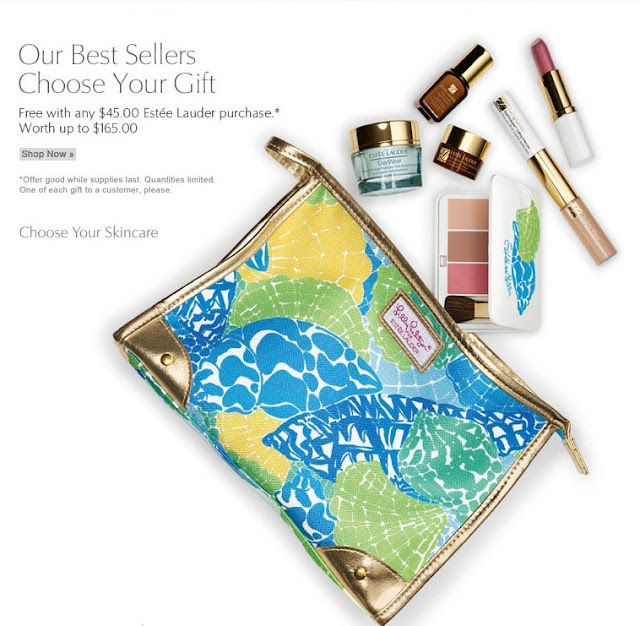 I'm hooked on beauty Gift With Purchase bags and adore the newest collaboration from Estee Lauder and Lilly Pulitzer. If you're looking for a lovely Lilly Pulitzer make up bag and full of some fabulous beauty products visit Lord and Taylor. Stay tuned for more details about this unique Lilly Pulitzer collaboration and check out the Lilly Pulitzer Facebook page for a chance to win in some fantastic giveaways. I love the bag itself and I really wanted that and the powder compact. Unfortunately, I don't use Estee Lauder and don't have $45 to spend on random stuff to get the bag, so that's not happening.